Science journalism has always been a form of public relations. 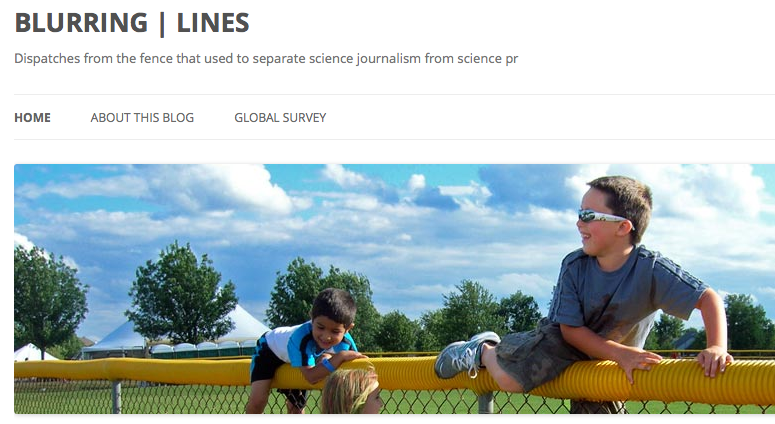 This idea fell as a bombshell in the room where a group of journalists were discussing the frontier between science journalism and PR in the framework of the World Conference of Science Journalists (WCSJ), held from 24 to 28 June in Helsinki (Finand). Who dropped the sentence was Brian Deer – the British journalist who exposed the fraud behind the pretended link between vaccines and autism announced by Andrew Wakefield – who followed the debate sitting on a table in the back of the room, showing skepticism. The bomb touched earth without exploding: the other journalists did not pay much attention – perhaps they were used to Deer’s provocative tone – and continued their discussion of how to manage that increasingly blurring frontier. But that comment made a lot of sense to me. 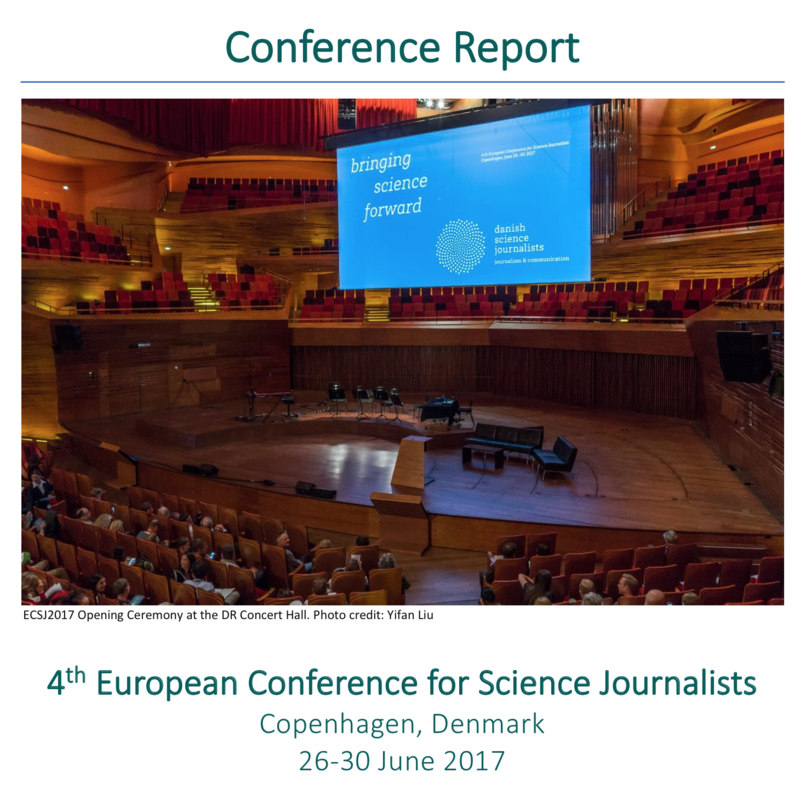 I left the WCSJ with a reinforced conviction: we have spent many years asking for more science in journalism, but now it is time to ask more journalism in science journalism. The WCSJ – the biennial event that brings together hundreds of science journalists from around the world (800 this year, according to the organizers) – is above all a great opportunity for networking. For a freelancer like me, it is vital to meet fellow reporters from Madrid or London, which I know only through social networks; to get to know that a European association is planning a journalism award; to discover that a German research center has launched a program for journalists in residence; or to set up a new collaboration with an international outlet. 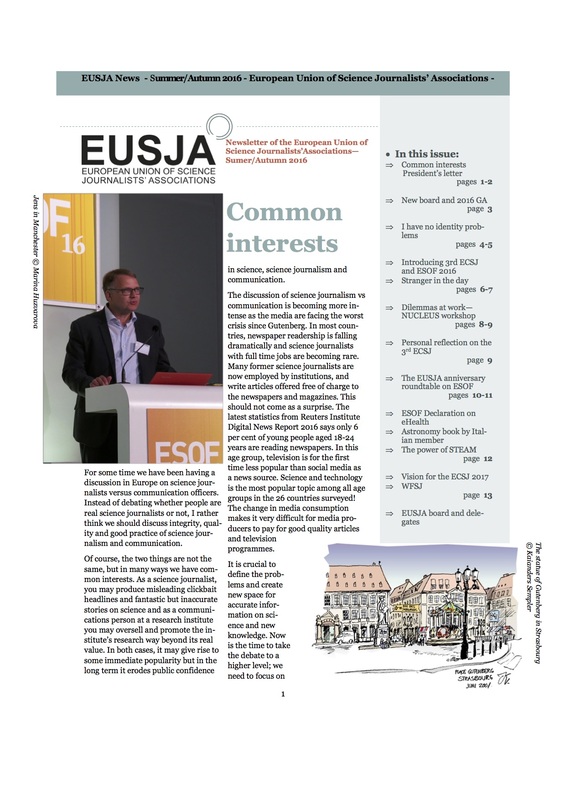 I could do all this thanks to a fellowship from EUSJA to participate in the WCSJ, supplemented by a grant from the Catalan Association ACCC. Apart from some technical problems (wifi malfunctioning in the first days of the conference, and a plenary session without microphones) the organization of the congress was great: interesting post-conference tours, enjoyable social events, and a catering with very healthy food. There were also very timely sessions: about the complex regulation of biomedical research, designed to fight bioterrorism and emerging viruses (like the ones that appeared in recent months in the Middle East and China); about espionage technologies (such as those used by the NSF); about the changes in energy balances due to fracking (the transition from the “oil age” to the “gas age” and the scenario of US energy independence); about how to better understand and communicate uncertainty and risk; and about the secrets of Finnish successes in education. One of the most interesting sessions was precisely the one in which Deer dropped his bomb. This debate [http://www.blurringlines.org/], based on a survey made among conference participants, showed that science journalists increasingly combine their activity with PR work, something that ends up affecting their independence. European journalists are much more “tolerant” on this issue than those from US, according to the survey. Sessions like this have the merit of ringing the bell about threats to the independence of journalism. 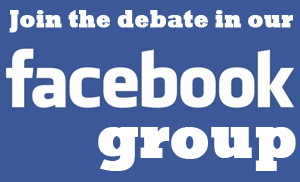 The latest conferences have always kept the focus on this issue. This is very important and it is desirable that the attention stays high on this point in future conferences. What I missed is a larger sample of positive examples. The WCSJ also aims to raise awareness of the good work done, celebrate the best colleagues, and inspire people with their models. Most speakers agreed that the key words for the future are “investigative journalism” and “data journalism”. A splendid workshop by Mark Lee Hunter analyzed several techniques of investigative journalism, offering examples such as the work on private business by Finnish bankers made by Tuomo Pietiläinen, at the Helsingin Sanomat newspaper. I hope that within two years, when the WCSJ be held in Korea, there will be more success stories to explain (more examples of investigative journalism, data journalism, and narrative journalism) and we will discover that Brian Deer’s idea will no longer be true, or, at least, it will be a little less true. *** The workshop organised by EUSJA – and namely board member Wolfgang Goede – which took place at the same time, addressed narrative science journalism (by Colombian science journalist Angela Posada-Swafford), investigative science journalism (by board member Fabio Turone, from Italy) and statistics (by Hans van Maanen, from The Netherlands): a detailed account is available online. Michele Catanzaro is a freelance journalist based in Barcelona. He is member of the board of the Catalan Association for Science Communication.